Product Liability Claims for Defective Hunting Equipment | Larson Law Firm P.C. Hunting season has begun, and hunters have a right to expect that the tools and equipment they use will work as intended. That includes not only your guns, bows or traps, but your tree stands, your blinds, and your radios, too. If one of your tools fails, you could have a defective product claim – especially if you are injured because of it. There is no requirement to prove the maker of the hunting equipment was negligent. In some cases, property owners can be held liable if a hunting accident happened due to failure to post proper warnings or to take preventive steps. The types of injuries vary depending on whether the injury was due to a weapon or due to other equipment. Wrongful death. In the worst cases, a bullet, arrow, or other weapon can kill a hunter or a bystander. The families of the deceased have the right to file a wrongful death claim on behalf of their loved one if a defective product caused the fatality. Catastrophic injuries. A misfire might seem like the most common scenario, but barrel explosions and defective bolt actions can cause permanent injuries. Bow hunters can also sustain injuries from misfires, or if the equipment shatters and they are hit by shrapnel. You can lose part of your hand (or other body parts), sustain permanent scarring or burns, or ultimately lose your life. Traumatic brain injuries. 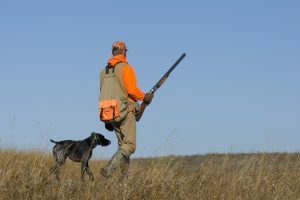 Inexperienced hunters can be injured by a kickback from a misplaced gun, and every year hunters are accidentally shot – by others or by themselves. But the far more common risk for hunters are brain injuries related to falls from defective tree stands. Of all the types of hunting equipment on the market, defective tree-stands cause the most damage, most of the time. Aside from the risk of brain injury, you can sustain spinal cord injuries and broken bones, too. Defective weapons also lead to injuries and death each year. In one large class-action lawsuit, Remington settled product liability claims based on charges that it “concealed a deadly design defect that allowed the guns to fire without the trigger being pulled,” according to a 2017 CNBC report. The settlement covered the guns themselves, requiring the company to replace triggers at no expense to the owners, and other product expense conditions. 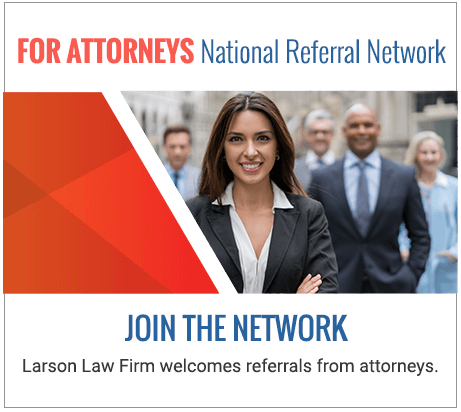 The North Dakota injury lawyers of Larson Law Firm P.C. have the experience and skills to determine why a death or injury occurred and to hold the liable parties accountable. For help with any hunting accident or personal injury claim, contact our firm or call us at 701-484-HURT to speak with an experienced Minot product liability lawyer. There’s no charge for the consultation. We represent injury victims and families on a contingency fee basis.